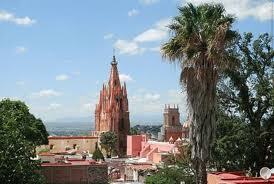 I just got back from the writers conference at San Miguel de Allende. The city was voted the number one travel destination in the world by Condé Nast Traveler. And I would rate this writers conference number one in the world as well. As usual, I took a lot of pitches from writers. As usual, they were pretty nervous when they sat down. And probably some were pretty disappointed when I told them I didn’t want to represent their book. As usual, a lot of talented people showed me some good writing, but I knew I wouldn’t be able to sell it to a publisher. Of course, nowadays there are lots of alternatives to mainline commercial publishing. And writers are exploring these alternatives. Many of the pitches at San Miguel were for memoirs and novels. Here’s what I can tell you about how publishers evaluate these genres. So many of the published memoirs are driven by celebrity. These are, in reality, book-like glitzy packages, usually written by someone other than the putative author. For those of you who like that kind of book, I refer you to Kardashian Konfidential, St. Martin’s Press (2010), written by God only knows who. For the rest of us, it’s almost impossible to find a publisher for a personal memoir. Certainly there are some examples of family memoirs that have succeeded. The Glass Castle by Jeanette Walls comes to mind. Or The Liar’s Club by Mary Karr. These books rise to the level of high literature. They’re the exceptions though, and I can only imagine the difficulty they must have had finding a publisher. I’ve represented some very good memoirs. Yes. As good as The Liar’s Club. I couldn’t get them published. No dishonor. Just disappointment. Similarly with fiction. And I have written about this as well in a previous blog post. Literary fiction is especially difficult to get published for the simple reason that it rarely sells enough to be a profitable venture. Most editors evaluate 200-500 novels a year. All of them have been heavily vetted by agents. Most of them are good enough to get published. An editor may acquire 10. And the rejection is usually based on marketing, not on aesthetics. (“This book is too dark for book groups.” — “This book seems too quiet.”) As a result I only represent a few novels a year. Most of the greatest novelists of our time have experienced these kinds of rejections. Some agents are nice guys and have a warm and fuzzy vibe. Others may seem dour, forbidding, arrogant, or world weary. If you are fearful of laying yourself wide open to an agent, here’s what I recommend: Don’t even try to pitch your book. It’s probably more effective sending an agent a query letter and a sample when they get back to the office. Instead, just ask them some questions. Agents know about the publishing process and the market, and you can learn a lot by having a conversation with them. Ask them what they are looking for when they read a memoir or a novel. Ask them what turns them on and what turns them off. Ask them for advice about finding the right agent. Try to find out what agents and editors are talking about with each other. Ask them what grabs their attention in the first paragraph. The information will be invaluable. And you won’t have to suffer the indignity of a face-to-face rejection. Of course, ask them at the end if you can send them a query and submission. More than likely they will put it at the top of their queue. Most writers who attended the conference at San Miguel de Allende, most writers who pitch to agents at any conference, aren’t going to find a home with a big New York publisher. But it’s important to remember that the writing, itself, is the end, not the means. It’s the journey that counts. And a few people will reach the end and receive the gold cup. More likely though you will slip on a banana peel ten feet from the finish line. Ah, but what a trip it’s been. How much you must have grown in the process. Writing is a profound journey of discovery. Publication, well, it’s a business transaction. This entry was posted on February 22, 2014 at 12:27 pm and is filed under Andy's observations, Thoughts About Writing, tips on getting published. You can follow any responses to this entry through the RSS 2.0 feed. You can leave a response, or trackback from your own site. Thanks for the reality in wetware world – cut straight to website, blog, links, Youtube, email lists, offers! I agree writing is the focus, not the publishing. I survived a really horrendous situation by writing a memoir then turning it into a play that I’m peddling (earlier drafts won Honorable Mention and two Finalist placements in major contests with more than 500 – and one with 1,000 – submissions so the revised script may find a stage. Thanks for the human voice. I took a workshop on how to pitch. 24 participants each with really interesting books. Real live editors and agents submitted themselves to our practice pitches and asked for proposals from some of us. But none of the 24 even got a response – except one who, after she got a rejection email and she asked a question, the editor wrote back that she couldn’t open the file. Thanks, Tita, and I’m glad to hear that your memoir is getting recognition (even if in a new literary form). A lot of people over-prepare for these pitches. And the classes on pitching can often make writers more nervous. I prefer just to have a conversation about a writer’s work. When writers declaim their pitch, as if from a script, it sends the message that they are insecure about their writing. Yes. The poor agents and editors who volunteered themselves – I realized later I launched into the carefully edited, revised pitch without acknowledging the person across the table from me as a fellow human being. I could have been speed-speaking to an audience. Got an offer to send the proposal, but like the other 24 in the workshop, never heard another peep. It’s possible that you didn’t give the greatest pitch ever. But the fact that the agent never responded after asking for your material is inexcusable. I always look forward to your posts. Thank you. This success of pitch session depends on how an agent and author handle the unexpected. Recently, I pitched an agent my novel and this is what happened, moments following my pitch. On the other side of a glass window I noticed my mother (also a conference attendee) as she innocently walked right past the very room where I sat with an agent. “I don’t think so. That’s my mom,” I said without any hesitation. “Invite her on in here,” the agent said. The three of us stood around talking like it was perfectly normal to invite one’s mother to a pitch session. But I wouldn’t change a thing. The moment was real, and one I’ll never forget. Having a nice relaxed pitch session is always a pleasure for me. It’s better for me to evaluate material back at the office. I really enjoyed reading this article and particularly loved the quote by Ann Lamott at the end! If you haven’t read Bird by Bird by Ann Lamott, do it. It’s the best book ever written on writing. I will do, it does look like it would be right up my street – thanks! This was an interesting insight into the other side of pitching. Having just received a rejection letter from you (it was so brief it pinched more than stung, so thank you…), I wanted to comment on the anxiety-inducing pitch. As a writer, what drives me to pitch, and continue pitching, is the burning belief in and love of what I do. It seems to numb the other senses as I’m going through the process. This probably mutes the humiliation a bit, as the pitch is akin to business-like begging. The thing about existing in a stage of being unpublished, especially when you have a work that you believe in wholeheartedly, is that it can eat at you and drive you and keep you up all night working. You know that if ever you should succeed, it will have all been worth it. So, if I do get the chance to pitch a book to you in person, watch out, because I’ll pitch you the pitchiest pitch you’ve ever been pitched…! Pretty great post. I simply stumbled upon your weblog and wished to mention that I’ve really loved browsing your weblog posts. In any case I will be subscribing to your rss feed and I’m hoping you write again soon!